Discover the power of the Visitors Map! With the Matomo (Piwik) Real-time map, you can literally view your website traffic over time! The map is available in the Visitors > Real-time Map. 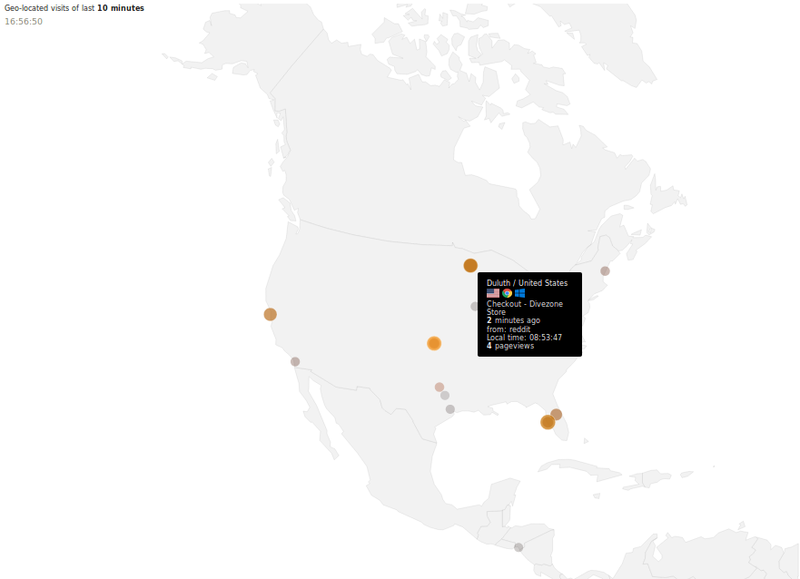 You can also add the map as a widget on your analytics dashboard (click on “Widgets & Dashboard > Live > Real-time Map”). Each bubble represents a Visitor. They are refreshed every 5 seconds, and new visitors appear on the map with a flashing effect. The size and color of the bubble indicate the recency of the visit. 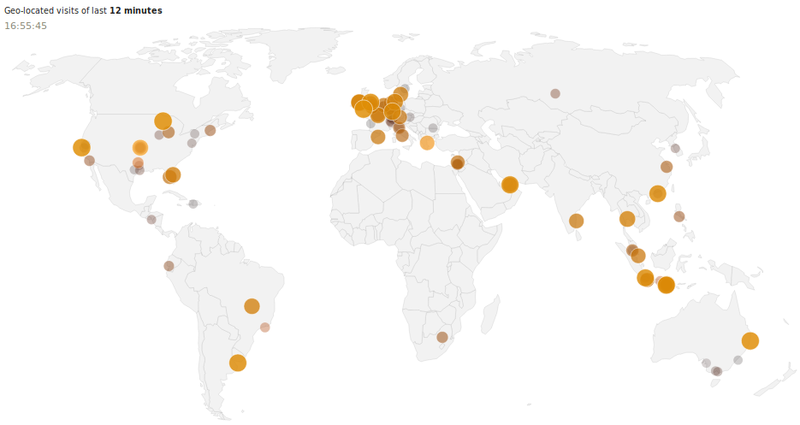 The most recent visits are displayed in Large, Yellow bubbles. Old visitors are marked with small, transparent markers. On hover on a visitor marker, a tooltip is displayed showing a summary of this visit. The maps were released in Matomo (Piwik) 1.11 and were crowd funded by our community of users. 149 donators helped make this feature possible! See also: Geo Location, Visitor Map.